Our two-bottle H2O Fanny Pack is a large capacity fanny pack built for comfort and function. 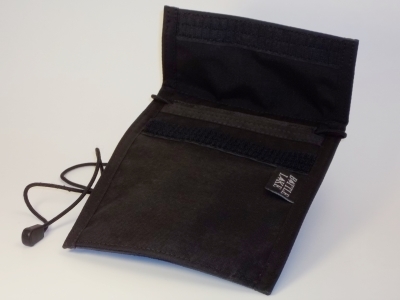 The foam-stiffened bottle pockets allow easy access and provide some insulation. 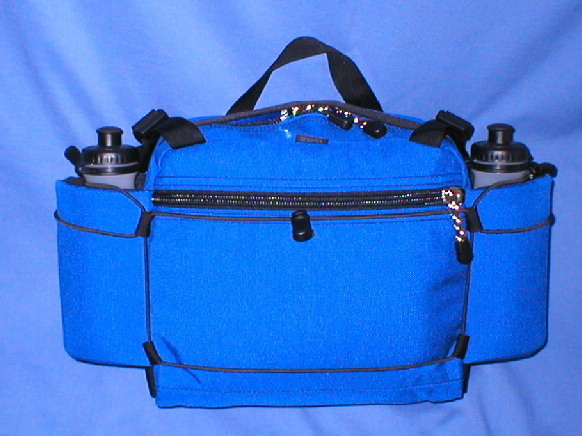 A large main compartment, zippered flat pocket and an outside shock cord, for bulky items, provide lots of capacity. The compression straps and padded back keep the load riding comfortably. 2" quick release and fully adjustable waist belt. Outside zippered pocket. Side compression straps. Two 20 ounce water bottles. 1/2" padded back. Carrying handle. Shoulder strap attachment points. Adjustable bottle retainers. Adjustable shock cord for bulky items. No rattle zipper pulls. Height - 8.5"; Depth - 4"; Width - 11"